Yellow and black mud dauber constructing a nest cell. Mud daubers are wasp-like insects that construct nests from mud. They make a variety of nests ranging from elaborate structures (i.e., multiple tubes several inches long or small vase-like nests attached to plant stems) to merely ‘plastering’ up existing cracks or crevices in wood, stone, or masonry. Many mud daubers will fill holes in round openings found in equipment and lawn furniture. These wasps range in size from one-half inch in length to slightly more than one inch. They often have bright, metallic coloration and narrow thread-like waists. Like other wasps and bees, metamorphosis is complete, and the immature wasps look like worms. Mud daubers are not social insects, although many females may be found using the same general areas for nesting. These nests are brood chambers for raising their young and are constructed and stocked by one female. Some species will repair old nests from previous seasons and reuse them. The nests are constructed as or divided into cells about one inch in length and usually are stocked with spiders, which have been immobilized by the females’ stings. The venom acts as a preservative keeping the prey in proper condition to allow the larvae to develop. An egg is laid in each cell stocked with several prey individuals. When the egg hatches, the larvae feed on the prey. Upon completion of its development, the new wasp will chew a hole in the cell wall and emerge. 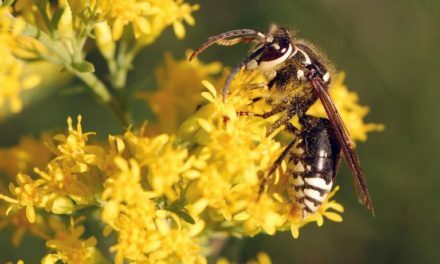 Many of our most common species such as the yellow and black mud daubers and organ-pipe mud daubers use spiders for prey, but other species use a variety of insects ranging from caterpillars to cockroaches to stock the nests. Some related species that burrow into the ground catch large insects such as katydids and cicadas. Organ pipe mud dauber nest cells. Mud daubers are not aggressive insects and rarely sting, unless they are threatened or inadvertently contacted. Although the venom is primarily for paralyzing and preserving prey, it is painful. The yellow and black mud dauber was rated a 1 on a pain scale ranging from 1 (mild) to 4 (severe), which was the same rating as the red imported fire ant (Encyclopedia of Insects – Eds. Resh and Cardé). These insects are not really pests, but some possibly would describe them as nuisances. Mud daubers that stock their nests with caterpillars are beneficial insects. Since many consider spiders to be pests or at least nuisances, spider-collecting mud daubers could be considered beneficial, also. However, since spiders also reduce insect populations, this viewpoint is questionable. Habitat modification to reduce the attractiveness of an area to spiders, which are the major prey of mud daubers, is one means of reducing mud dauber activity. This would include caulking or plastering cracks where spiders could live or hide and regularly removing webs in corners and crevices. Household insecticides can be used to discourage spiders, also. Manual removal of nests may discourage mud daubers as well as reduce later generations. Also, screening or caulking of any openings that may allow access into buildings will prevent nesting in these areas. Chemical control may be necessary in cases of known allergies to wasp or bee stings or due to large numbers of mud daubers around areas of high pedestrian traffic or entrances. Insecticides registered for use in a specific area should be used according to label instructions. Insecticides containing pyrethrins or synthetic pyrethroids are very effective in general for wasps and wasp-like insects and will quickly ‘knock down’ flying insects. They are not to be used to attempt to contact insects in flight, but the package information refers to the very quick effect of these chemicals on the insect nervous system. This type of insecticide often comes in containers that will spray a straight stream up to 20 feet. This way one can treat the nests without exposing themselves to stings. 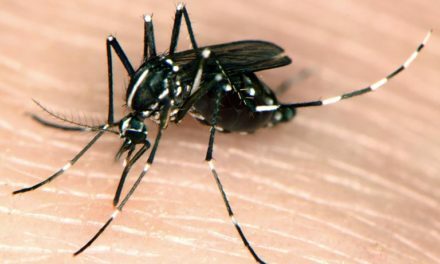 Normally, late evening or early mornings when the insects are less active are the times to use this type of treatment.